At the beginning of the year, I decided to read one book per month for 2018. You know, the must-have-new-year’s-resolutions saga. I had a few books in mind but I also surveyed my friends for recommendations and read through blogs on “books that will change your life.” The result: I’ve read about two books per month and the books I recommend below are some of the best I’ve read this year. They range from business to financial advice, to silky poetry, and food revolution. 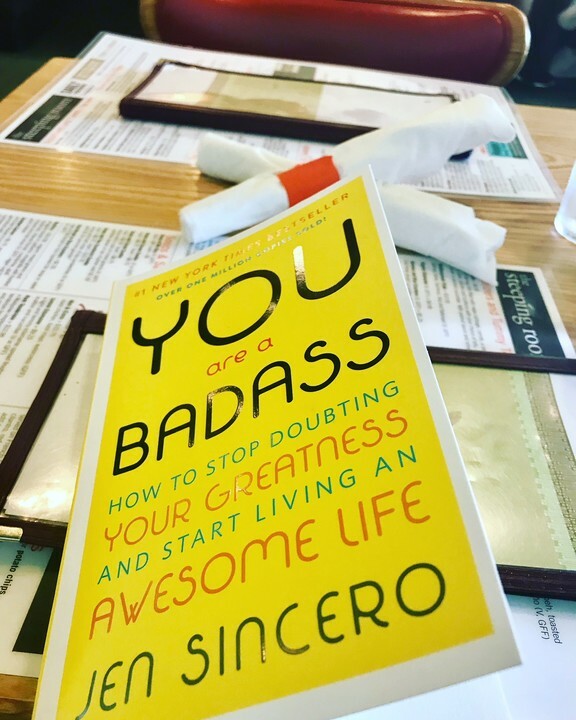 You are a Badass by Jen Sincero. This book is so good in so many ways that I was dreading the end of it. I even took it on my trip to Prague and purposely took longer to finish the last two chapters. It definitely had me laughing out loud in the plane and feeling like Wonder Woman. As I’m writing this, I am now reading her second book, You are a Badass at Making Money. 2. Shoe Dog by Phil Knight, the creator of Nike. Total page-turner: this book is so well written that it’s hard to put down. Also, an amazing story of perseverance and iron determination interwoven with the message that no matter how impossible success seems, there is always a way. And Nike was born. 3. The Secrets of the Millionaire Mind by T. Harv Eker. 4. The Sublet Art of Not Giving a F*uck by Mark Manson. Hilarious, combative and ultimately insightful, I almost didn’t finish this book but I’m glad I did because the best is at the end. Just be ready to read many f*ucks and eventually not to give a f*ck about the obvious profanity. 5. Happier by Tal Ben-Shahar. The author, who teaches on Positive Psychology at Harvard University, breaks down how we can get happier into three sections and encourages the reader to reflect on exercises that challenge the status quo of what we think happiness is. You will feel happier after reading this book! 6. Milk and Honey by Rupi Kaur. A global phenomenon from Toronto, Rupi Kaur has made waves with her poetry and became an overnight success with her first book, Milk and Honey. This book is the perfect nightstand read mainly geared to the female audience. Just one page at a time, one poignant poem at a time. So beautifully written and so raw. Truly a gem! 7. Presence: Bringing Your Boldest Self to Your Biggest Challenges by Amy Cuddy. All you have to do is watch her TED talk to want to read this book. Though not a NY Times Bestseller, this book has a lot of science behind her TED talk and why the way we think about ourselves colors everything we do. Everything. Great read for business and career advancement. Presence isn’t about pretending to be competent; it’s about believing in and revealing the abilities you truly have. It’s about shedding whatever is blocking you from expressing who you truly are. It’s about tricking yourself into accepting that you are indeed capable. 8. The Upstarts: Uber, Airbnb, and the Battle for the New Silicon Valley. I confess I had a hard time finishing this book because it did drag a bit toward the middle and end. But the stories of hardship, political battles and genius from the founders of both Uber and Airbnb will teach any aspiring entrepreneur what it takes to get a mobile business off the ground. Every great startup starts as a side project that isn’t anybody’s main priority. AirBed & Breakfast was a way to pay our rent. It was a way to pay rent and buy us time and help us get the the big idea. 9. It Starts with Food: Discover the Whole30 and Change Your Life in Unexpected Ways by Melissa Hartwig. This book did change my life. I went on to complete to Whole30s and achieved my goal weight within the first 3 weeks of the first one. Amazing results! If you’re ready to give up your favorite foods for 30 days. If you were stranded in an island for a month and could only read one book, which one would you choose and why?